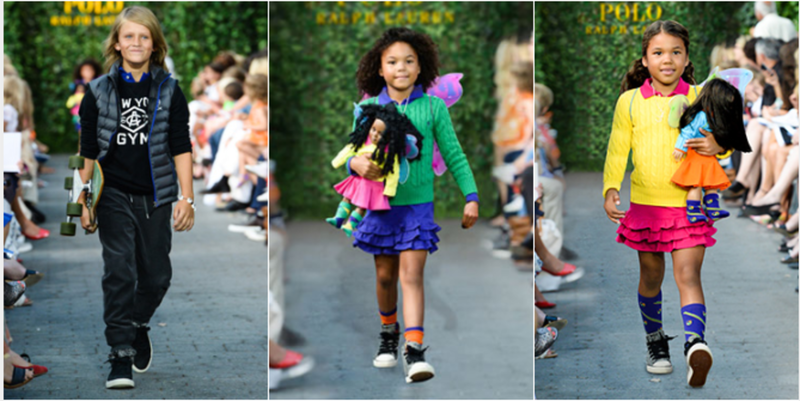 Mermaids, sea lions, glitter tattoos and fashion--the Polo Ralph Lauren Fall 2015 Children’s Fashion Show was a highlight of our summer. 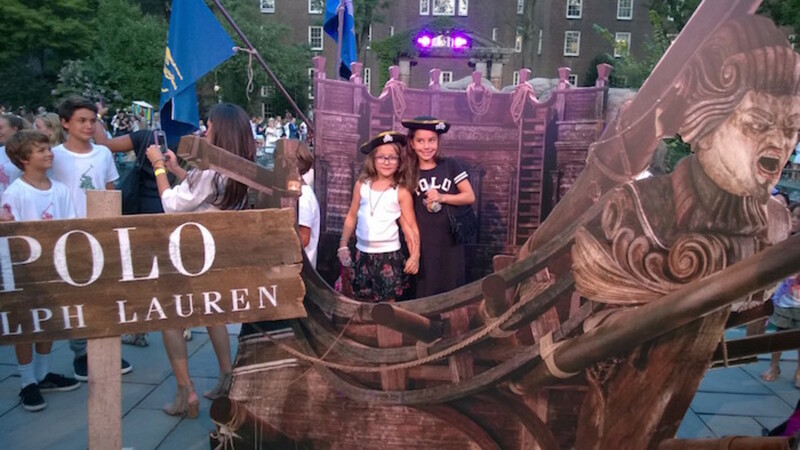 For years we&apos;ve been invited to the Ralph Lauren Children&apos;s show (in the Hamptons, and at the NY Public Library) and we&apos;ve made a huge effort to attend. The girls love the spectacle and the RL team really knows how to throw a party. 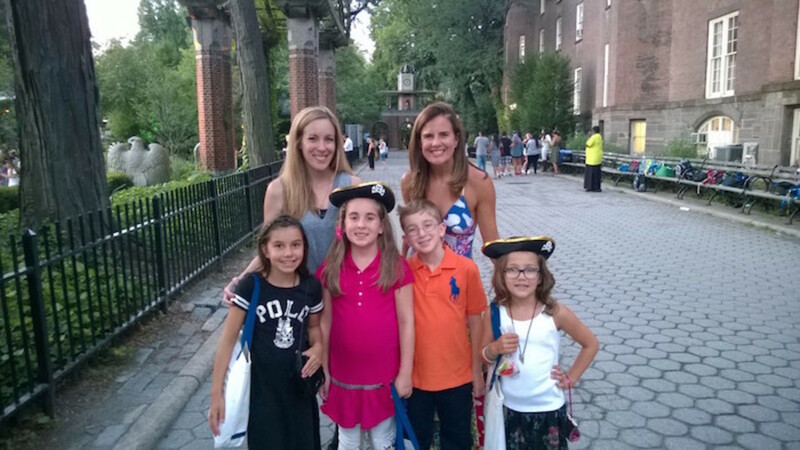 I met up with Vera Sweeney of Ladyandtheblog.com our kids all know each other--they got the front row treatment. The show kicked off with the dashing Levi Miller, star of Warner Brothers’ upcoming feature film Pan (releases Oct. 9). 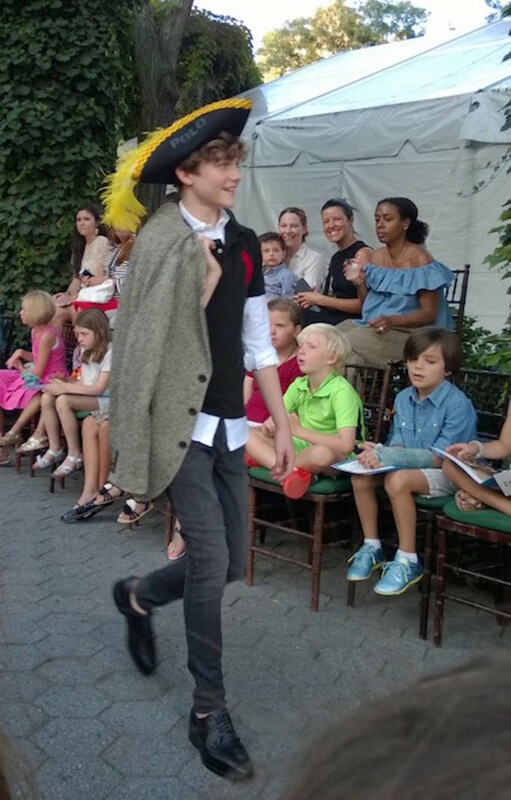 The cute young star made his runway debut--he looked great in his fall Ralph Lauren look complete with pirate cap. He&apos;s the brand’s new childrenswear ambassador and I bet is about to become a huge star. As I said, the girls sat in the front row. I was right behind them seated across from Rachel Zoe--she was adorable as she got all moony-eyed when her son Skyler worked the runway. Rachel was wearing a dreamy cream tunic. As for me, I had a floral Ralph Lauren dress on that we featured here for Monday Mingle. My girls didn&apos;t do much celebrity watching. They just had a great time soaking in the fashions and then the candy! All the children in attendance were wearing RL finery. My older daughter had Polo Maxi Dress on the and my younger one wore the Chiffon Floral Skirt. It was exciting that both pieces also came down the runway. It was so great to see Ralph come out for applause at the end. He looks fabulous! They were even pictured in the NY Times recap from the event. Can you pick them out? This year&apos;s theme was Peter Pan and they themed the evening "A Night in Neverland." 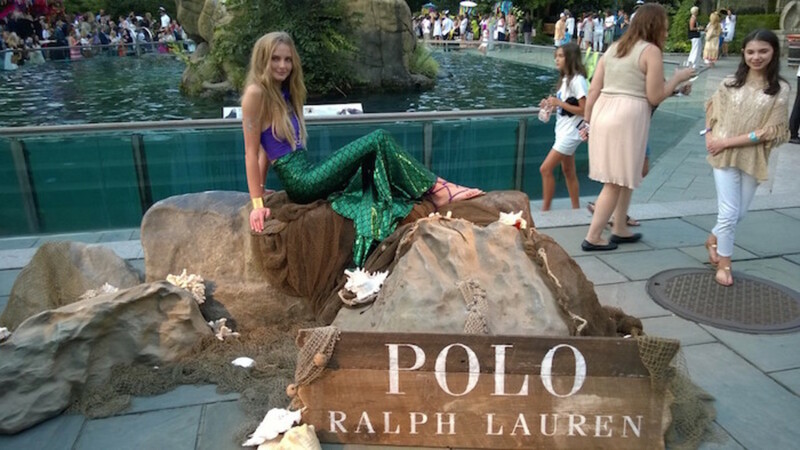 The Central Park Zoo was turned into Neverland complete with pirate ship, mermaids and magic. 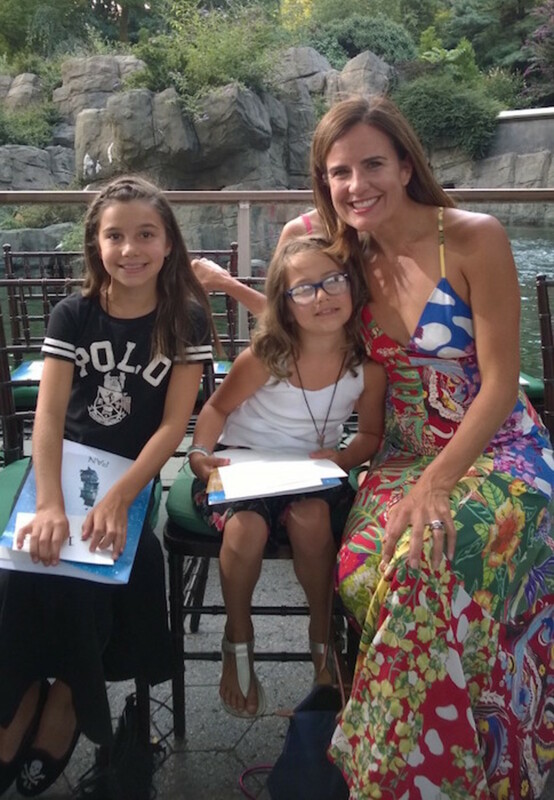 After the runway, the kids headed over to the zoo&apos;s sea lion area for nibbles and a bit of fanciness. Highlights from the collection included, the vests and the great pops of color and all the vintage-inspired patches. Ralph and his team know that kids like to experiment AND that parents want clothes that are timelessly cool. Here were some favorite looks from the event. 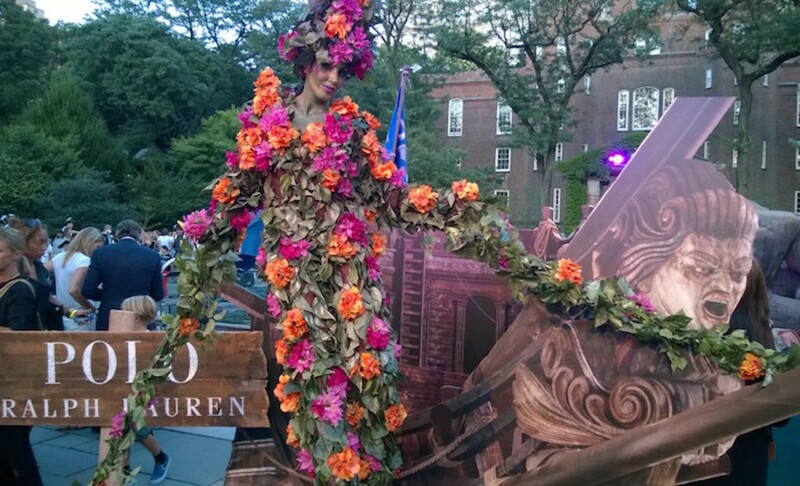 Click over to Ralph Lauren site to see the full show and shop the collection 10% of the proceeds will benefit Reach Out and Read. Once again the team at RL crafted the event in support of literacy--they always have a charity partner. I love that they pair fashion with a cause--especially when kids are involved. 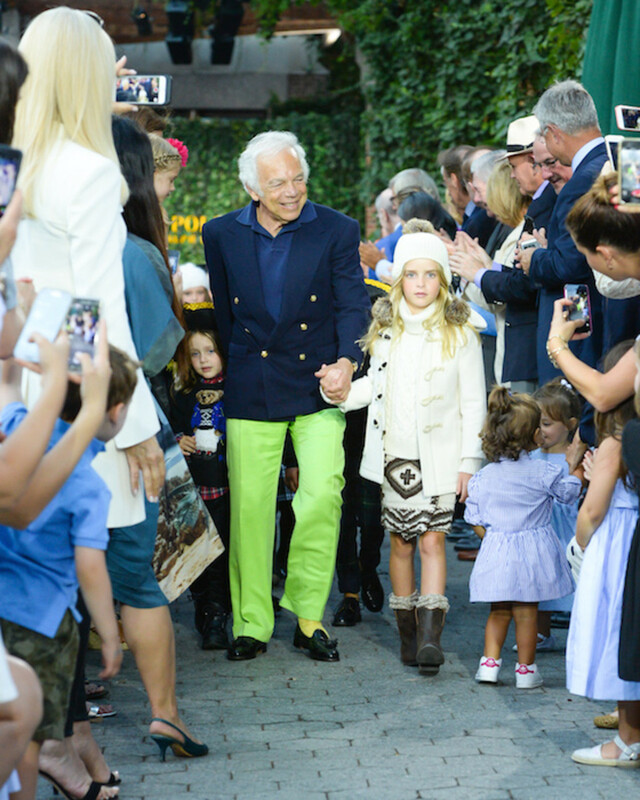 In the past year the Ralph Lauren Children’s Literacy program donated over 100,000 Scholastic books to Reach Out and Read. 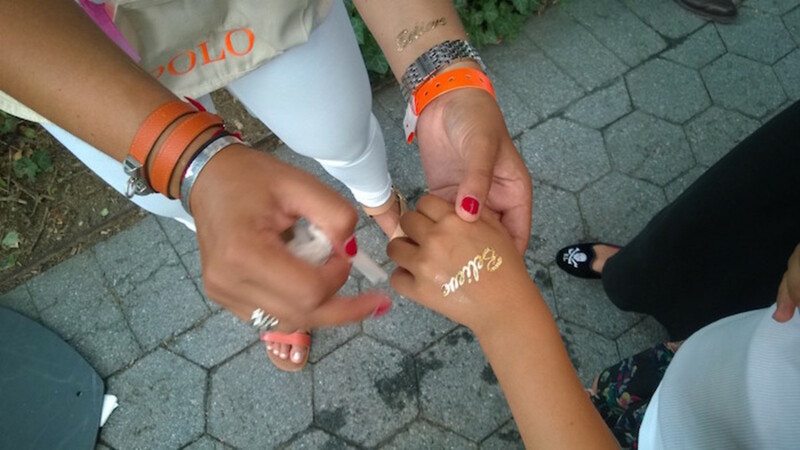 Our "believe" tattoos might have worn off, but the memories will last forever. I for one, don&apos;t want them to grow up too fast. I hope there was some pixie dust sprinkled on them at the event that will slow down the speed at which they are growing up. This is not a sponsored post, we did all get clothing gifted to us for the event. Images of Ralph Lauren courtesy of the Billy Farrell Agency. All other photos are mine.